Whoever you are, whomever you love, wherever you are on life’s journey, we greet you with open minds and hearts. 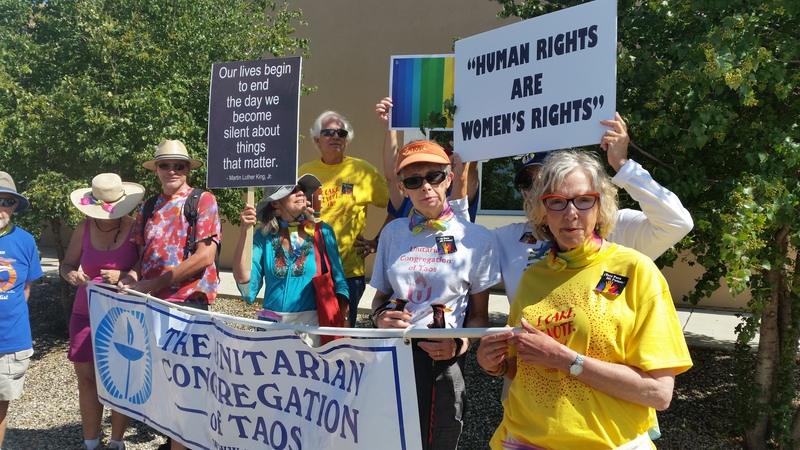 Our mission is to be an illuminating beacon and an active force, promoting liberal religious values and interfaith, intercultural collaboration to better our congregation, our greater Taos community, and the world beyond. 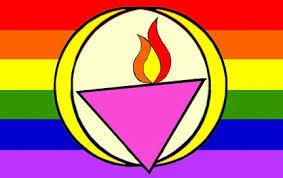 Our covenant is to engage each other with respect, compassion and generosity in all our endeavours. 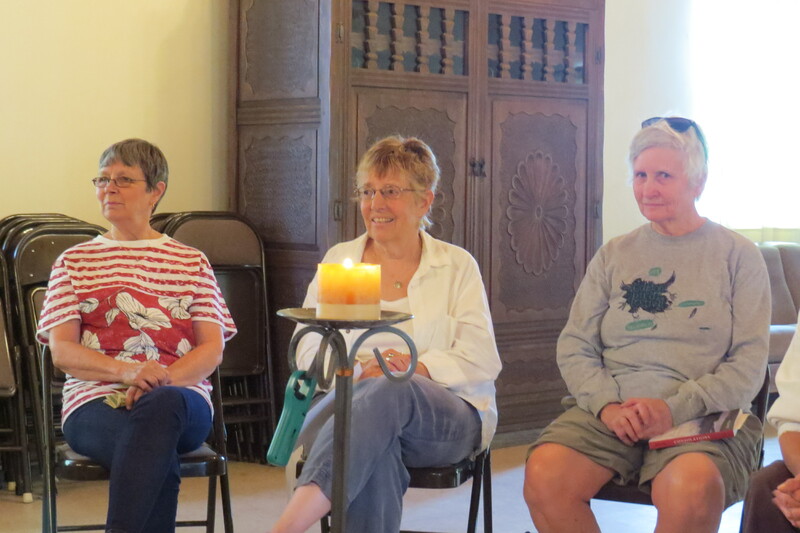 Join us on first and third Sunday mornings to sing, celebrate, share joys and sorrows and reflect together on what it means to live a meaningful, joyful and morally responsible human existence. 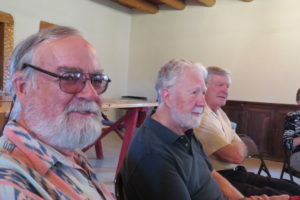 We offer regular services at 11:00 a.m. on first and third Sundays in the Bent Lodge of the Masons at 124 Camino de Santiago, at the intersection of Gusdorf Road and Camino de Santiago. 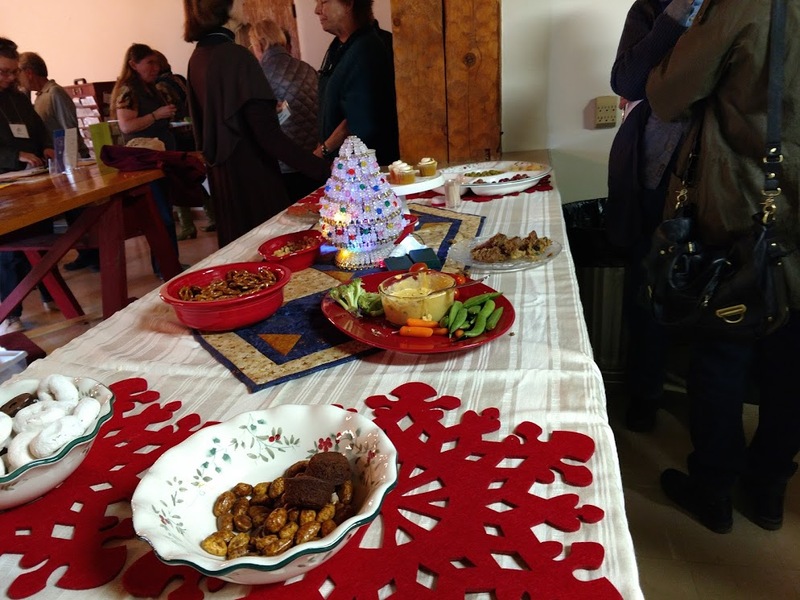 Join us for coffee and conversation after the service. 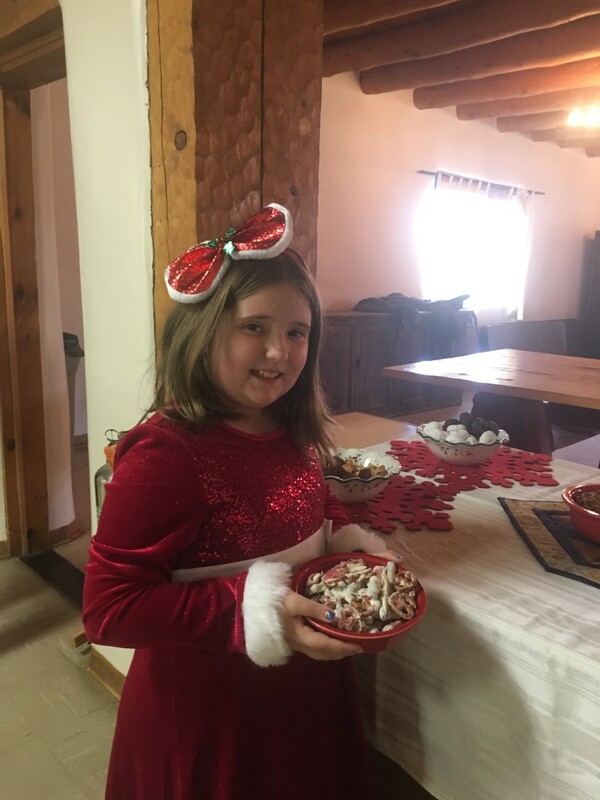 See what is coming up this Sunday and later this month. 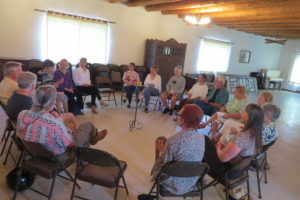 Every second and fourth Sunday, the Unitarian Congregation of Taos hosts a sharing circle, in which members, friends, and visitors come together to share stories and experiences related to personal and spiritual topics. Sharing and listening lasts from 11 a.m. to noon. Those who wish to stay till 12:30 can participate in further discussion.